KARACHI : Crime thrillers have been a fad for quite some time now. But contemporary audiences don’t have a fascination with the classic ‘whodunnit’ formula, where the criminal remains a mystery till the very end. They prefer watching the criminals in a cat and mouse chase with the detectives/cops for the next two… or 10 hours. Breaking Bad, Narcos and countless other shows have presented this narrative with different variations and to great success. Personally, I find the thriller to have become quite repetitive. There is entertainment to be found but too many rehashes have diluted the impact too much (although, I suppose that could apply to any genre). Yet, I find myself watching the latest shows offering the old in a new packaging, hoping for something out of the ordinary. Obviously, it wasn’t long before I finished watching Sacred Games in one whole day, mostly because Anurag Kashyap-Nawazuddin Siddiqui duo has never disappointed before. And in Sacred Games, they maintain that promise. Being Netflix’s first Indian production, the new series is based on a namesake novel and co-directed by Vikramaditya Motwane and indie darling Kashyap. 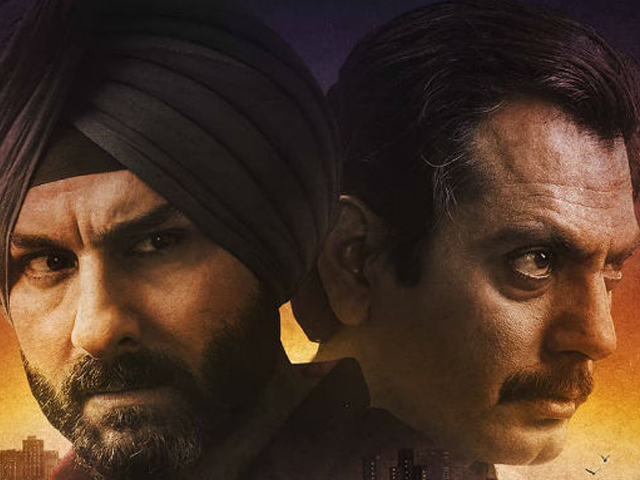 The series stars Saif Ali Khan as Inspector Sartaj Singh who stumbles upon a criminal mastermind Ganesh Gaitonde’s (Siddiqui) cataclysmic ploy that threatens to destroy all of Mumbai. Radhika Apte also stars as a RAW agent. 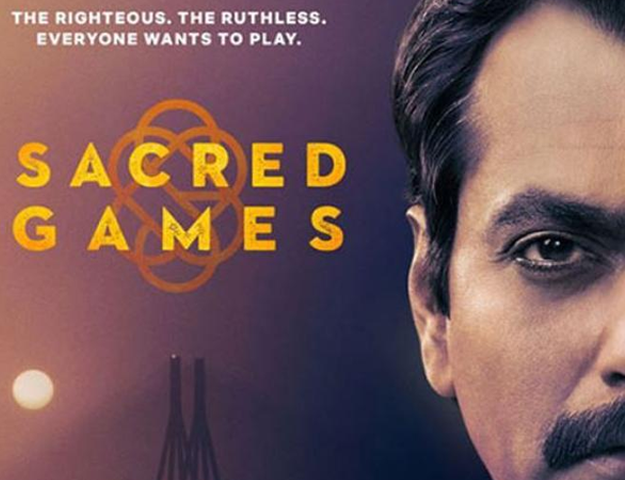 Sacred Games follows two parallel timelines: one which traces Gaitonde’s rise through the underworld and the other, Singh’s uncovering of the mysterious threat. The first episode establishes the main characters, the protagonist and the antagonist. Singh is a lowly divorced policeman who doesn’t do much in life, except being berated by the authorities at work. 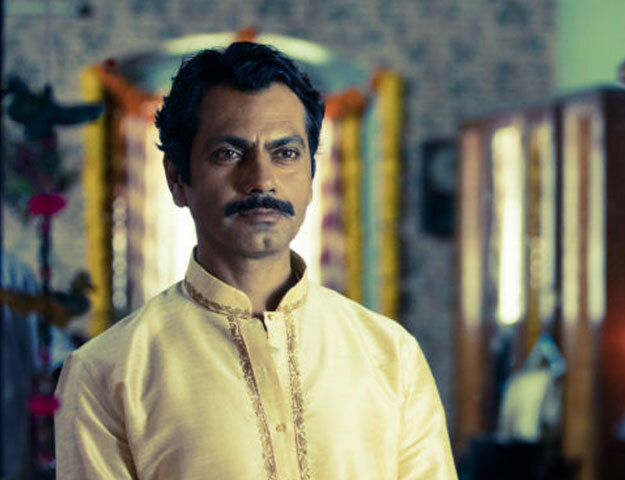 Siddiqui’s Gaitonde, a nobody who becomes somebody in the dark underbelly of Mumbai, is a unique character. It’s through him that we witness and understand the religious and political chaos of society. In the first two minutes of the opening episode, we hear Gaitonde say, “Bhagwan ko maante ho? Bhagwan ko faraq nahi parta. (Do you believe in God? Because He doesn’t care if you do).” With that, he sets the tone for the rest of the series. 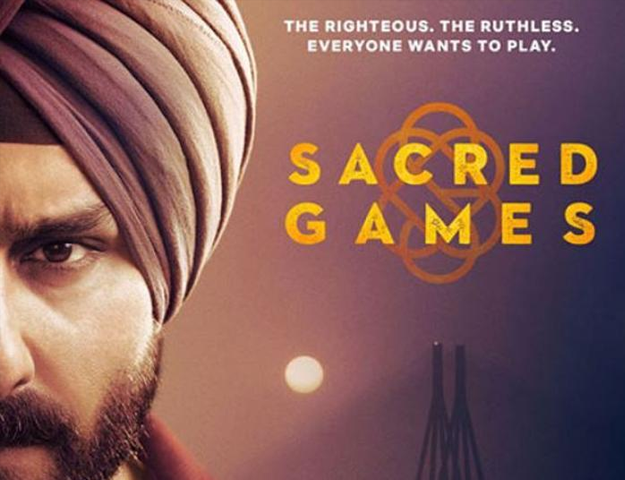 One can’t help but wonder if the religious and political themes in Sacred Games might have been heavily censored in India or Pakistan if the show were made for traditional film or TV. Netflix affords Kashyap and Motwane greater creative freedom. What other show would openly challenge religion and criticise its role in social oppression? Throughout, we witness how politicians and gangsters trigger violence in the name of religion. Politics and religion are intertwined in the subcontinent and it’s a fact that the Pakistani and Indian society knows very well. Sacred Games just has the guts to say that openly. The two film-makers divided the two timelines: Kashyap directed Gaitonde’s story, while Motwane crafted Singh’s. But the two halves merge effortlessly with only subtle differences in style and treatment. Kashyap channels his rogue gritty style, not unlike his magnum opus Gangs of Wasseypur. He doesn’t mold Gaitonde and lets him naturally develop as a character in a calculated environment. We see the criminal go from an ambitious and narcissistic young gun to the demonical lord of the city’s hidden corners. We enter Gaitonde’s world through his memories, supported by his ‘informed’ narration. The restless, entitled up-and-comer’s can-do-anything-will-do-anything attitude allows him to feel invincible. Smashing skulls and breaking bodies are a treat to Gaitonde and his vision of Mumbai. In some aspects, Siddiqui borrows from his personas in Raman Raghav 2.0 and Gangs of Wasseypur. Add to it the psychotic unhinged mind, and you have Gaitonde. Motwane is controlled and so is his part of the story. Under his direction, an actor such as Khan is made to seem vulnerable and as honest as he’s ever been on the screen. We see him grabbing on anything he can to prove his worth and regain self-respect. Sacred Games isn’t a groundbreaking show as far as taking the next step in the evolution of story-telling is concerned, but it’s sure as hell entertaining. Its USP is a no-holds-barred criticism of society, religion and politics. And of course, Siddiqui’s nuanced performance (did you expect anything less?) and the one of the best cliff-hangers in recent history. If that doesn’t make you want to binge on the show…well… tell that to Ganesh Gaitonde.